Which ever your destination, you will be delivered! The North and Far North or even the North Pole. We serve the mining market, Native and Inuit communities. 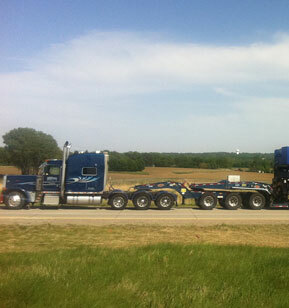 Founded in 1997, the company began operations with a package truck on behalf of another carrier. 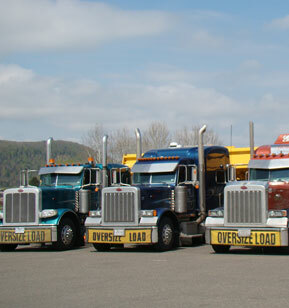 In 2004, Norvinic acquired other trucks to increase its fleet to four vehicles. Then it became an independent company. From 2006 to 2008, the company has increased its staff up to nine trucks and began to develop specialized transport market with the purchase of new highly specialized equipment at the cutting edge of the industry.. In 2013, Nicolas Royer, son of Norman, joined the team to to be destined to take over. The company already has a more promising future. 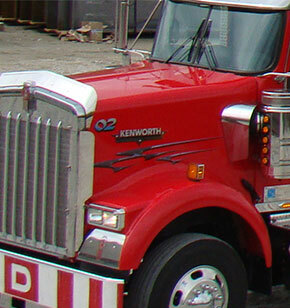 The owner of Transport Norvinic inc., Normand Royer, also has two other companies in the transport sector in different specializations. – Transport H.P. Royer 2008 Inc.
– Transport Laurent Gingras inc.